Styling your bar can be a tough job, especially with the vast array of choice that’s on the market. At Peppermill Interiors we have a fantastic selection of bar furniture to choose from. There’s something to suit every style and budget. Bar tables provide an opportunity to set the tone for your venue. Are you going to have tall poseur tables paired with stools? Or small cafe tables with sofas and armchairs? Perhaps a mix of both or even something entirely different. All of this will depend on who your customers are and what kind of experience you want to provide them with. 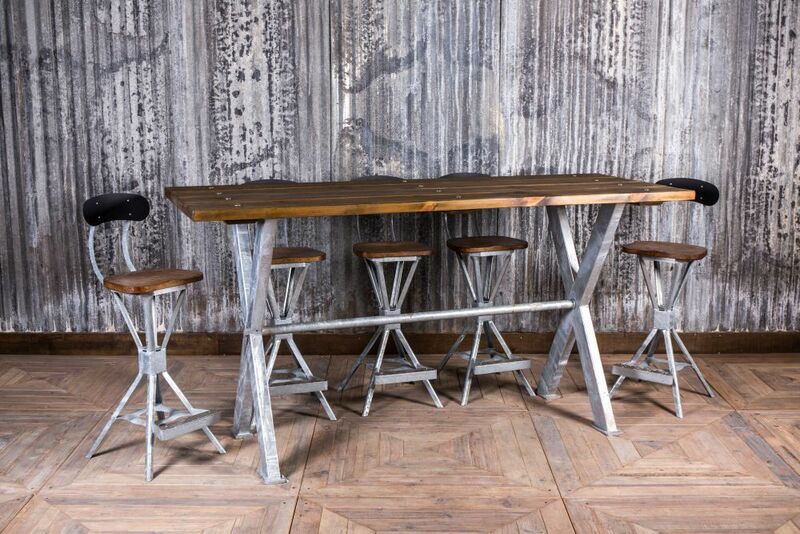 Industrial style, with its exposed metals and distressed paint, is very on trend right now. 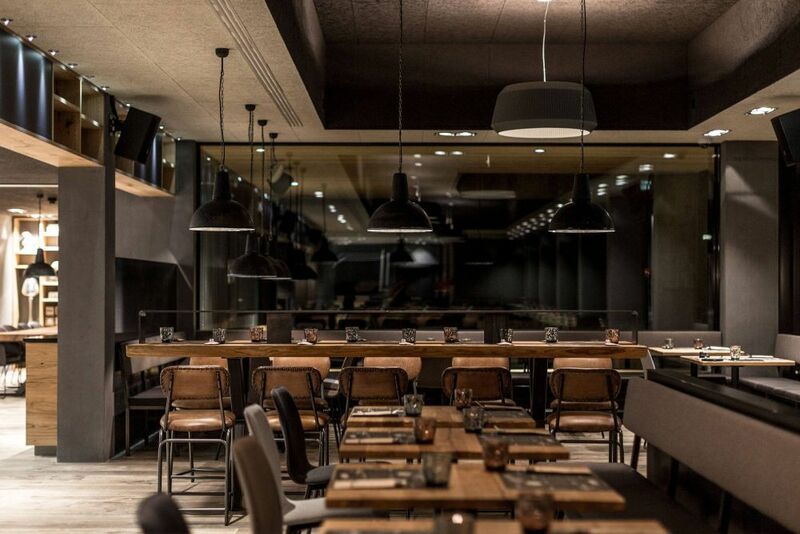 Metal X-frame poseur tables are a great option for contemporary bars and bistros as they create a casual atmosphere. We also stock X-frame dining tables, allowing you to have a mix of both if you wish. Individual tables can provide a more romantic and intimate setting; why not mix and match coordinating sets of dining chairs and stools? Chose bar stools to tie in with your scheme; they are an easy way to bring colour and texture to the space. For a fun, modern, and lively space, try bold leather stools in a variety of bright colours. More traditional or timeless interiors may be better suited to muted tones, such as tan and black. This helps to achieve a sophisticated look for your venue. If you have a vintage style interior, then wooden stools are perfect, whilst velvet bar stools work well in chic wine or cocktail bars. Another design factor to consider when choosing your stools is whether you want a back or not. Many of the backless stools at Peppermill Interiors conveniently stack to save space; these make a great choice for bars who wish to keep stools as spares to bring out during busy periods. Backless stools also offer a more minimalist look, ideal for vintage and industrial inspired spaces. 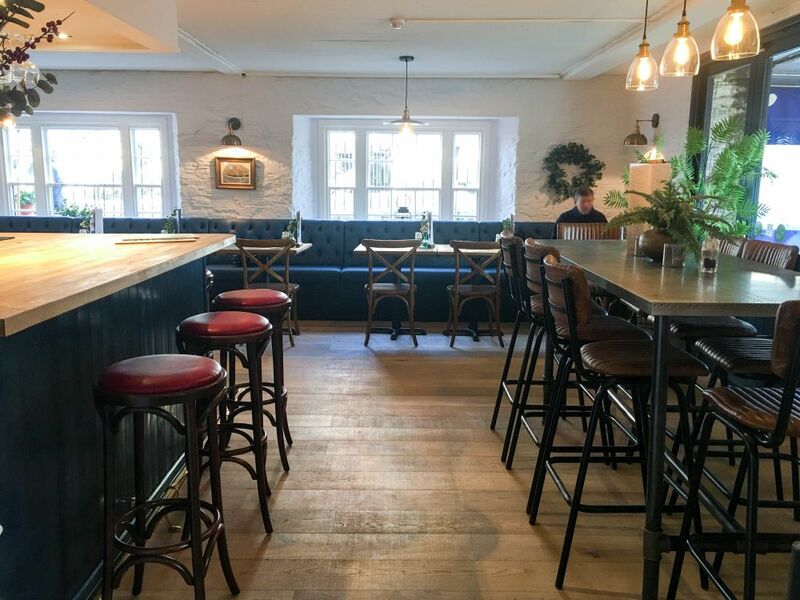 Stools with backs are often a popular choice for bars that serve food, as they are more comfortable to sit in for a long period of time. Outdoor furniture doesn’t have to be wicker, teak or plastic. Jazz up your beer garden with quirky industrial style furniture! Poseur tables and stools are an unusual option that could really make your outdoor area stand out. At Peppermill Interiors, we stock galvanised outdoor bar furniture that won’t rust, so can be kept outside all year round. Alternatively, we offer a fantastic selection of vintage outdoor furniture, that’s perfect for carrying on a retro theme from the inside out. Industrial and vintage style is thriving right now and is a great way to add character to your bar or restaurant. Browse our range of bar stools, bar tables, and outdoor bar furniture for unique items that will be sure to wow your customers.